Built 1966 by Rafael Alaverdyan. Named in honour of the Armenian playwright, Gabriel Sundukyan (1825-1912). Used for drama performances. 1250 seats. 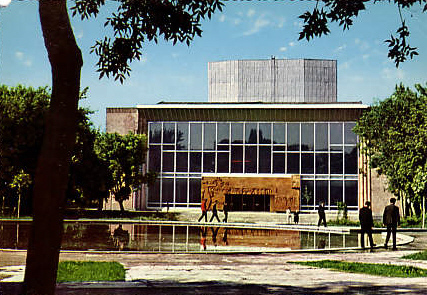 Reverse Text: "Erevan - Le théatre dramatique Soundoukian; Yerevan - Sundukyan Drama Theatre"